MALMECC is made up of a number of sub-projects, which together aim to cover many different aspects of medieval music making and its culture. Laura Slater is researching the cultural patronage of Philippa of Hainault, wife of Edward III of England. Originating from a region that now cuts across northern France, Belgium and the Netherlands, Philippa’s importance as a transnational cultural patron is well-known. A manuscript associated with her marriage re-sited two French polyphonic motets into an English context. The poet-musician Jehan de la Mote dedicated his c.1339 verse lament on the death of Philippa’s father, Count William of Hainault, Holland and Zeeland to the queen. He may even have performed at the English court. 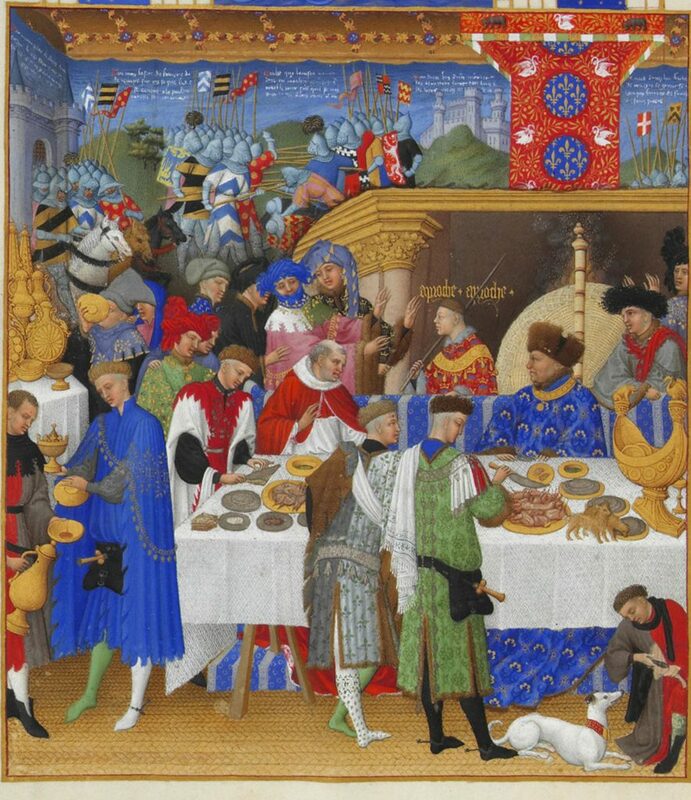 The chivalric chronicler Jean Froissart called himself ‘one of her clerics and familiares [an intimate, part of the queen’s trusted inner circle]’, priding himself on his place in her household from around 1361. Philippa even commissioned her own tomb effigy from overseas, hiring Jean de Liège, a Brabançon working at the Valois court of France in the 1360s to make the grand monument seen in Westminster Abbey today. Yet the manuscripts associated with Philippa’s ownership and personal devotional use have never been explored in detail. Among several surviving manuscripts made to mark the accession of Edward III and his marriage is a very small psalter made in the later 1320s, possibly as a wedding gift for Philippa. ‘Marital manuscripts’ of this type were designed to act as a spiritual primer for married life. Philippa’s psalter would have been required to provide spiritual support and guidance to her in particularly difficult circumstances. Aged anywhere between ten and fifteen, Philippa landed in England in December 1327, barely a week after the funeral of her deposed and murdered father-in-law, Edward II. She found her new husband to be the increasingly unwilling puppet of a regency government dominated by his mother, Queen Isabella of France, and her possible paramour, the English nobleman Roger Mortimer. Philippa spent her first three years in England completely overshadowed. The second manuscript, perhaps made c. 1340, dates to happier times. A much larger and grander psalter now in the British Library, the ‘Psalter of Queen Philippa’ contains musical notation throughout. This is extremely unusual for a manuscript made for a lay user. Philippa is known to have been close to the clerics in her household: the Queen’s College, Oxford was founded in her honour by one of her chaplains, Robert de Eglesfield. Laura is exploring how the visual representation of sound in the pages of the psalter might have influenced the queen’s devotions. She is considering the different ways and contexts in which Philippa may have used her psalter, in places such as St Stephen’s Westminster or St George’s Windsor. And she is investigating what we can learn from the manuscript and other sources about Philippa’s musical and intellectual interests. Who was a medieval cardinal? How did he behave? And how did he react when the Church was torn apart by a Schism? 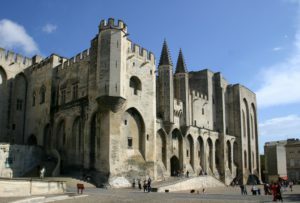 To answer these questions, and much more, Christophe Masson (Post-doctoral Research Fellow) explores the identity and organisation of the courts held by cardinals who lived in Avignon during the first period of the Great Western Schism (1378-1403) when two popes competed, one living in Rome, the other in Avignon. This project combines three main objectives. First, it challenges the idea of a static community of princes of the Church and of cardinals who acted only as ministers or ambassadors for the pope. During the Schism, their role was being redesigned, and they tried to influence, if not to govern, the pope they followed. One of the cardinals’ main weapons were their courts, where they acted as art patrons and political intermediaries, often supporting claims from lay princes as well as their own interests. This evolution made them, amongst other things, able to challenge the pope’s alleged central role in cultural exchanges and politics. Secondly, Christophe’s project enlightens the seigniorial aspects of cardinals’ courts and behaviours by combining a multimedia approach—including palace decoration, building of tombs, musical and reading practices— with a study of performativity (conduct of masses and ceremonies, including funerals). This is made possible thanks to the transdisciplinary composition of the MALMECC team which combines art history, musicology, literature, and history. The cultural choices of the cardinals will be used to demonstrate how late medieval cultural practices contributed to establishing, or defending political power and influence. Cardinals’ courts will thus be investigated as groups able to produce their own original (micro-)culture—a mix of papal, ecclesiastical, familial, princely, and noble—that cannot be equalled a priori to the ones of lay or ecclesiastical princes. The last point of focus of Christophe’s project is that of regional origins of the courtiers surrounding the cardinals. Popularized by the writings of Church reformers, the idea that the Avignon Papacy grew out of the appropriation of the wealth of local churches still permeates lots of modern publications. This prevents us from understanding the mutual, although unbalanced, interests that linked a cardinal and the places he held benefices in. Since the prelate was attracting large amounts of money, local clerics were keen to aggregate themselves around his court. It was a way for them to claw back a part of the revenue that was produced in their home region, through their pensions and salaries, but also, more importantly, for bishops and abbots to have a spokesperson in the very heart of the Christendom. All of these clerics were key actors within the transnational cultural model of Avignon cardinals’ courts. Ultimately, the research will lead to a reconsideration of cardinals’ position in the government of the Catholic Church, not letting them in the pope’s shadow but considering them as princes on their own, taking advantage of being theoretically in the periphery to act decisively on the center, in this case, the pope himself. David’s project centres on the archiepiscopal court of Salzburg. There, the anonymous ‘Monk of Salzburg’—among other courtiers—composed one of the most important collections of songs in German in the fourteenth century. Including both spiritual and secular material, they offer a fascinating insight into the cultural activity surrounding Pilgrim II von Puchheim, Archbishop of Salzburg between 1365-1396. 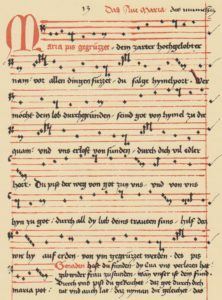 The project asks what made Salzburg so fruitful, and what it can reveal about the traditions of song that sounded around the court of a later medieval Prince of the Church. Where previous scholarship has focused on individual parts of the song corpus attributed to the Monk, most notably treating the sacred and profane elements separately, David is approaching the corpus as a connected, though not necessarily unitary, whole. The two sides must be held together if one is to gain a proper grasp on the nature of song at the ecclesiastical court, which by its very nature, and particularly in the case of a figure such as Pilgrim, brings together aspects of both worlds. This stance also relates to the way he tries to deal with medieval song, as a phenomenon which is more than the sum of its constituent parts (words, music, metrics), an attitude David has been exploring in the context of the Marian sequences in the corpus. Here, not only in the pieces the Monk translated from the Latin into German, but also in the Monk’s own compositions and contrafacta, the interplay of verbal and melodic components are essential to their full worth and resonance, and therefore to their Sitz im Leben. The interest in the function and place of the Monk’s songs also informs David’s engagement with the secular songs. What role did the act of composing these songs have in the circle of Archbishop Pilgrim, a political animal on a European scale? What might they suggest about the nature of his court, and how can they be situated in the network of cultural influences from and engagements with the ecclesiastical and profane potentates and institutions with which Salzburg maintained relations in the fourteenth century? What evidence can be found among the subsequent transmission of the Monk’s songs (particularly at universities and religious houses) for their earliest days? Using a combination of literary historical study and the examination of the Monk’s musical legacy along with the evidence of archival sources, David’s monograph study will offer a holistic account of the culture of song and poetry that came into being around Archbishop Pilgrim. By Olivier – Flickr: Visite au musée IV. two unusual turns when he withdrew from government (1434) to live in spiritual retirement on the shores of Lake Geneva and later accepted the papal see offered him by the Council of Basle (1439-49). He ended his life as a cardinal (1449-51). To this mix must be added the presence of cardinal Hugues de Lusignan, the uncle of princess Anne of Lusignan and one of the leaders of ecclesiastical politics, first at the papal court of Eugenius IV and later at the Council of Basle. The last piece of musicological research dedicated specifically to the court of Savoy dates from the early 1990s (Bradley 1992). In the meantime, work related to the biography of Du Fay (e.g., Planchart 2009, Robertson 2010) and to the ars subtilior manuscript Turin J.II.9 (Kügle 2012) has significantly added to the picture. But many gaps remain to be filled. The PI’s research will expand on the very rich materials uncovered during the ongoing research by Margaret Bent on music and Humanism in late Trecento and early Quattrocento Italy (e.g., Bent 2008), as well as in his own recent work on codex Turin J.II.9 and its repertoire (Kügle 2012). Like a spider in the web, Savoy sat at the hub of an intricate political, dynastic, and cultural network linking France, the Church, Italy, and Outremer (Cyprus). To what extent did local and dynastic identities shape the conscious application of different forms of cultural patronage in Savoy, notably music and book collecting? To what extent do they differ from patterns found in the cities (Venice, Padua, Brescia) of northern Italy and at the great rival court of Savoy, Burgundy, in the north? Bent, Margaret. Bologna Q15: The Making and Remaking of a Musical Manuscript. Introductory Study and Facsimile Edition. Lucca: Libreria Musicale Italiana, 2008. Bradley, Robert John. “Musical Life and Culture at Savoy, 1420–1450.” PhD diss., City University of New York, 1992. Kügle, Karl. “Glorious Sounds for a Holy Warrior: New Light on Codex Turin J.II.9.” Journal of the American Musicological Society 65 (2012): 637-90. Planchart, Alejandro Enrique. “Connecting the Dots: Guillaume Du Fay and Savoy During the Schism.” Plainsong and Medieval Music History 18 (2009): 11–32. Robertson, Anne W. “The Man with the Pale Face, the Shroud, and Du Fay’s Missa Se la face ay pale.” Journal of Musicology 27 (2010): 377–434. The Luxembourg dynasty is among the most prominent but also least understood of late medieval Europe, at least from a musicological perspective. Its domain included the county of Luxembourg, straddling modern-day Belgium, Luxembourg, Germany and France, and, more importantly, the crown of Bohemia (since 1310). 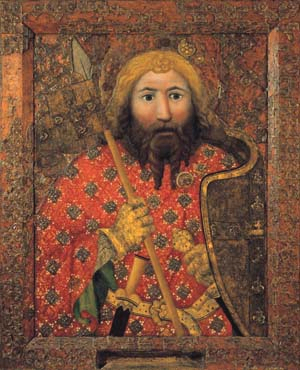 The court of Holy Roman Emperor Charles IV (r. 1346-1378) has long been acknowledged as a cultural beacon. Charles founded Prague University (1348); his prodigious building programme in and outside Prague was the catalyst for the “Bohemian” Gothic style. Having been brought up – like his father, John, famous for being Guillaume de Machaut’s first known patron – in French-acculturated circles and a frequent visitor to western Europe, there can be no doubt that he was familiar with the complex musical styles cultivated in France, England, Italy, and the Low Countries at the time. However, there is so far no evidence of them at his court. Rather, Charles was a patron of the late Minnesinger, Heinrich von Mügeln (d. after 1371). It is difficult not to see a political programme behind Charles’s musical and other cultural choices; it will be the purpose of this project to chart the reasons behind these decisions, and to reveal the discourse of power that underpins them. The project will be able to rely on a rich body of ongoing scholarship from History and Art History, and to a lesser extent from Germanic Studies (the latest monographs dedicated to Heinrich of Mügeln are Haustein 2002 and Volfing 1997). Promising leads from a musicological perspective are the neglected sources of sophisticated French-style polyphony from Silesia (Brewer 1984, Gancarczyk and Hlávklová 2013), supplemented by recent work on the liturgical reforms implemented by Charles IV (Eben 1992). In addition, we have the voluminous literary output of Mügeln, and the literary works of the Emperor himself, supported by archival materials in Prague. This and the preceding project will for the first time put Salzburg and Prague into a comparative perspective both within the German and Slavic-speaking world of the time, and in relation to eastern, western and southern Europe. Brewer, Charles. “The Introduction of the Ars Nova into East Central Europe: A Study of Late Medieval Polish sources” (diss. City University of New York, 1984). Eben, David. “Die Bedeutung des Arnestus von Pardubitz in der Entwicklung des Prager Offiziums”, in Cantus Planus (Papers read at the 4th Meeting, Pécs 1990). Budapest: MTA, 1992, 571-577. Gancarczyk, Paweł and Lenka Hlávková (ed.). The Musical Culture of Silesia before 1742: New Contexts – New Perspectives. Frankfurt: Lang, 2013. Haustein, Jens (ed.). Studien zu Frauenlob und Heinrich von Mügeln. Festschrift für Karl Stackmann zum 80. Geburtstag. Freiburg, Schweiz: Universitätsverlag, 2002. Volfing, Annette. 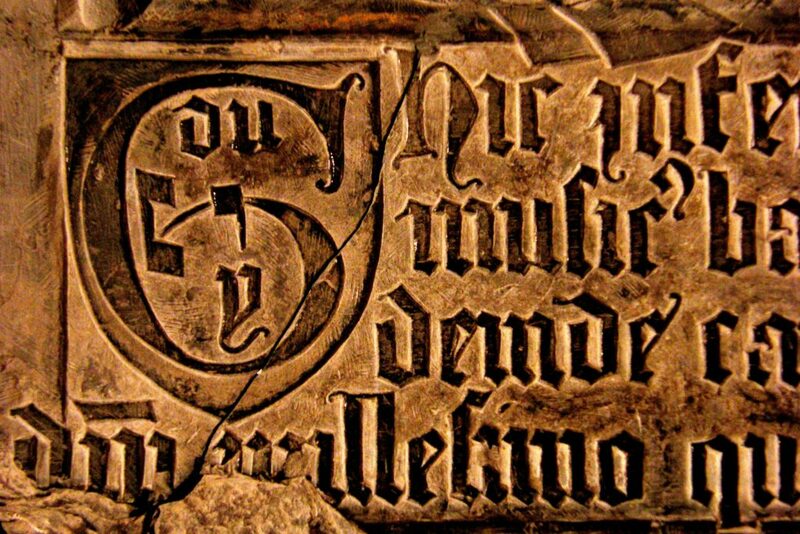 Heinrich von Mügeln, “Der meide Kranz”: A Commentary. Tübingen: Niemeyer, 1997.